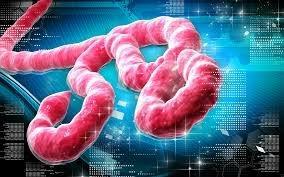 The shortsighted media has neglected EBOLA, generally suggesting it is no longer a threat. Currently there are now 10,000 deaths and perhaps 20,000 people stricken with this miserable deadly disease. The actual numbers are still unknown as the tribal belief systems that have existed for thousands of years dictate privacy in handling the departed. Such practices involve kissing the dead, washing the dead and home burials with more bodily contact-which transmits the disease. Often local African people are not cooperating with authorities, and hiding the dead. Some people are not able to care for the dead and the corpse remains above ground for dogs and vermin to consume. Do not scoff! We have our own rituals in caring for the dead which vary among various religious factions and family traditions from their country of origin which may go back several hundred years. Our current custom that evolved from the Civil War is the undertaker-now a Funeral Home. These services are very expensive; the most reasonable is a “Direct Cremation”. There does exist a growing “Green Home Funeral” that by law and served in rural areas the family may bury their own departed at least 3 feet underground, with a marker and boundary for 3 years duration. I opt for this. The Veterans Cemeteries want a container for the body. If you access amazon.com you can order a body bag, cardboard box container and other items for home or VA burials. Your personal MD will write out the necessary death certificates. I discovered a burial grounds near my 300-year-old farm, the stones long moved and washed down the hill, trees overgrown and long forgotten. Nothing is forever; we can read about the ancient Egyptians who over the millennias have buried millions in the desert and are long forgotten. EBOLA cemeteries are now being utilized more and more. GOOD! However grave digging is hard work. These graves do not look very deep. When I was younger and fit I would dig graves for large animals. I could dig 4 feet in about 45 minutes. But the deeper you go-the more tiring it is. From viewing videos of EBOLA cemeteries I note that one is close to the river. This implies water seepage and that means cholera. The common practice of grave robbery exists in Africa. This looting of pitiful property exists because of the countries’ poverty. When an EBOLA grave is opened, the risk of spreading the contamination exists. White people being more affluent, have concrete poured over the container. I am attaching two links that describe the true problems that health workers face from the populace as well as the “mutation” suggestion from the scientists. EBOLA. No matter what the “Warm Fuzzy” that the media suggests to us, it is a worldwide danger, and many countries outside of Africa are stepping up their commitment to stop EBOLA. There is not much progress though. The current lull in cases suggests to me that the seasonal viral affect, so close to the equator, dictates cycles. Let us keep a close watch on the seasons. God Bless America. God Bless us all.